Luxury Sleep – Luxury is a word that’s thrown around a lot these days, but what does it mean to get luxury sleep? Luxury sleep is what we define as eight hours of unbroken sleep, including multiples of the sleep cycle (non-REM sleep, REM sleep, deep sleep, etc) and general high sleep quality. This has a lot to do with the sleep experience. When you’re looking at a good night’s rest, you’re not just looking at the hours of sleep — we’re also talking quality sleeping. Beds and mattresses play a role in luxury sleep as do things like mens luxury sleepwear and a luxury sleep mask. Even smaller comforts like ear plugs, ear muffs, an eye mask, and a good pillow can add a sense of comfort to your average bed situation at night. Luxurious sleep doesn’t have to mean a lot of money, but it also doesn’t hurt to splurge a little here or there. Remember that we spend a third of our life in bed sleeping, and when you put it like that, it makes sense to spend a little extra to make sure you’re getting the luxury sleep you deserve. We break down luxury sleep — from what a sleep mask might do for you, to what sort of mattress you should buy. It’s time to step into 2019 in style, it’s time to get the luxury sleep you’ve always wanted. You know this: the better night’s sleep you get, the more refreshed and awake you are during the day. Sure, but there’s even more going on there. Your body goes through all kinds of changes while you sleep. When you fall asleep you begin the sleep cycle, a four-step process that systematically refreshes your brain, body, and everything in between. This is why a restful sleep will lead to you being bright-eyed and bushy tailed when you go in to work the next morning. While you don’t need to concern yourself with every part of the sleep cycle, let’s look at two steps that really do affect your waking life. REM sleep is when your body releases hormones that allow the body to repair itself. Its name comes from the fact that your eyes are actually moving under the lids while you sleep, signaling a lot of brain activity (rapid eye movement is what REM stands for). Luxury sleepers experience this two to three times a night, depending on how long they sleep for. Even deeper than the REM sleep is NREM, or non-REM sleep, which is when the brain refreshes its cognitive functions. This is the deepest form of sleep, and is vital to a good night’s sleep. When you reach these levels of sleep, your cognitive abilities increase the next day. It’s easier to learn, to react, and even to empathize with your family and coworkers. The long-term effects of losing out on restorative sleep can be pretty bad. Folks who experience chronic sleep disorders can often also experience increased blood pressure, neurological disorders, and even an increased risk of heart disease. Sleep disorders like sleep apnea can prevent a good night’s sleep and create a poor atmosphere for you to stay asleep. Luckily, there are all kinds of ways to bring back the luxury to your sleep. Here are seven of them. You know the phrase, “Look good, feel good?” That phrase definitely applies to getting a luxury sleep. Your comfort should start before your body even hits the memory foam of your mattress. Luxury sleepers know the value of nice mens luxury sleepwear. While women often have comfy sleep clothes, too often guys will wear whatever rough polyester pajamas that they had in college. Don’t be one of those people. If you’re looking for luxury sleep, try getting some silk pajamas. This type of mens luxury sleepwear doesn’t just feel comfy, it wicks moisture off the body and prevents that hot and sticky wake up in the middle of the night. Plus silk has a softness that is just so conducive to falling asleep. We’d be remiss in talking about mens luxury sleepwear if we also didn’t bring up mens luxury robes. Too often mens luxury robes have only been the purview of fancy hotels and resorts. Here’s the thing: who doesn’t love a nice resort sleep? Having great mens luxury robes is a great way to give that staycation feel to your next night in. Find a nice cotton model or something soft and shammy to caress your skin and leave you warm. This is a great way to regulate the body’s temperature before you sleep, and you can always take it off once your body hits your bedding. Getting a nice robe, no matter what gender you identify as, is a good way to get a luxurious sleep that starts when you’re standing! There are all kinds of stress triggers that can raise your anxiety, and hurt your comfort level when trying to get luxury sleep. One great way to provide some lowkey, nice relief is to use essential oils for aromatherapy. Smells like lavender, jasmine, and ylang-ylang have long been used as sleep aids, and the advent of essential oils has made this an even better option for many sleepers. 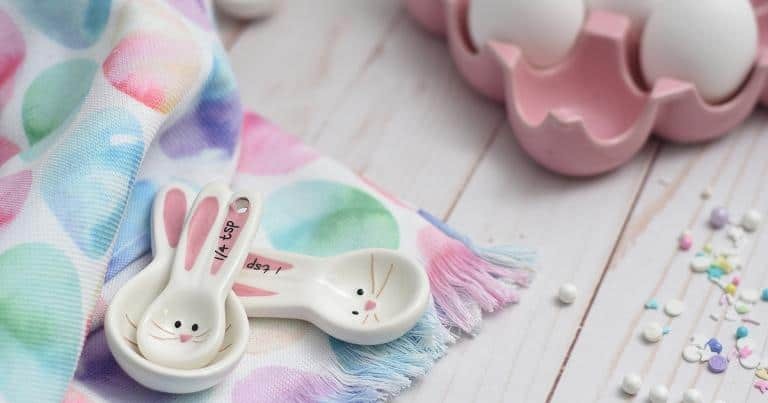 Lavender is especially powerful, and in some cases can even trigger the body to produce the sleep inducing hormone, melatonin, to create a better sleep experience. The thing with aromatherapy is its all to your taste. Go to a local store and check in with the salesperson to find one that works for you. Basically, you’re just looking for a smell that helps relax you. It’s not an exact science, so feel free to try a few out and make it a part of your regular routine. 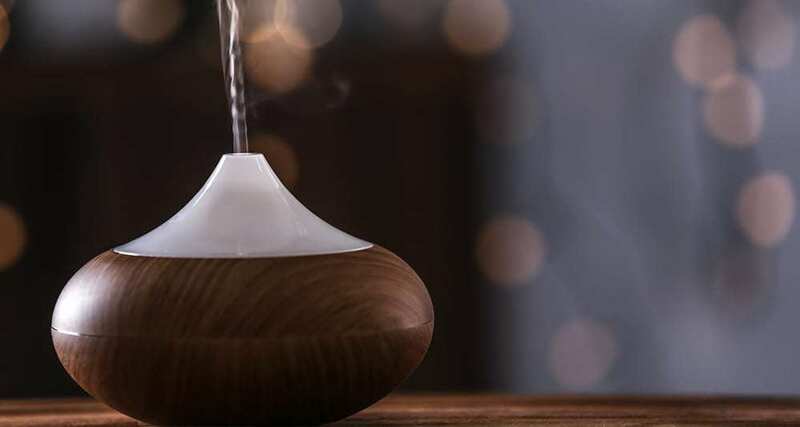 You can either drop a few drops of essential oil on your pillow, bed, or spring for a diffuser which can spread the smell around your bedroom more. We’d be remiss if we also didn’t mention a luxury sleep mask. Sleep masks have been used for years (seriously, you probably remember your mom using one back in the day, right?) and they can be a real benefit to the whole sleep experience. A sleep mask made of silk is a great way to keep harmful light that could make problems for your luxury sleep otherwise. This is especially great if you want to sleep in and not be bothered by the suns rays, which can trigger a natural progression out of sleep. A luxury sleep mask is a great way to add a touch of old-world luxury to your sleep experience. Why spend a ton of money on a bed if you’re going to skimp on sheets? It’s like spending a ton of money on a car with a great engine and then letting the frame rust out. Actually, it’s even worse, as sheets are totally functional — they help keep you warm in the winter and cool in the summer. Sheets are crucial for a good night’s sleep. 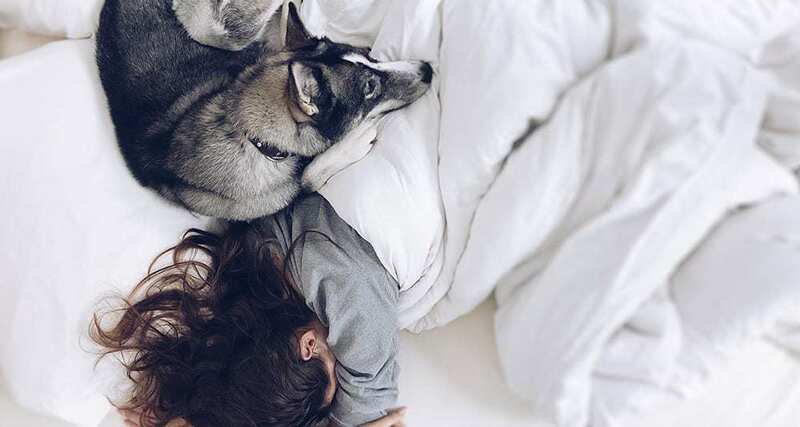 While there are all kinds of microfibers that you can experiment with, you’re going to want to look at organic luxury sheets for the top of the line, luxury sleep experience. Look for organic Egyptian cotton, cashmere, or any other natural, not-overly-processed fiber to both breathe well and wick moisture. While any fiber can essentially be made into a microfiber, these will often have a 400-800 thread count and be in the 100-200 dollar range. Sure, this might be a little more pricey than other sheets that you find online, but this isn’t the time to skimp. These sheets will stand the test of time, are sustainably sourced, and just feel better. Give yourself a luxury sleep experience that you deserve. Organic luxury sheets are the way to go. Have you tried an adjustable bed frame? You absolutely need to. If you’ve ever struggled with snoring, sleep apnea, or other breathing problems, an adjustable bed can really upgrade your sleep quality. Typically these are frames that have multiple moving slats on their frames that can raise the head or the feet to create unique sleep positions that will give pressure relief no matter your mattress brands. While these often work best with a gel memory foam mattress or a hybrid mattress. Some high-end brands of adjustable bed frames also offer relaxing features like a massage function, which can help lull you to sleep after a long and stressful day. While they may be a bit on the pricey side compared to other frames (if you have extra beds for guests you may want to go the traditional route), it’s totally worth it. This can take your bed to the next level. 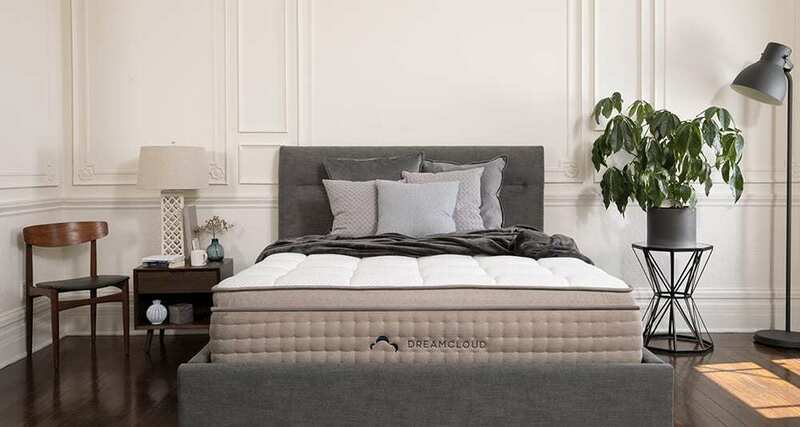 Dreamcloud offers an amazing luxury adjustable frame that has a massage function, a zero-G sleep setting (like astronauts use), and even a phone charger built into the frame. That’s the definition of high luxury. A foam mattress, great sheets, and an adjustable frame: you’ve built a great sleep environment from the ground up. So what’s the cherry on top? A down comforter. 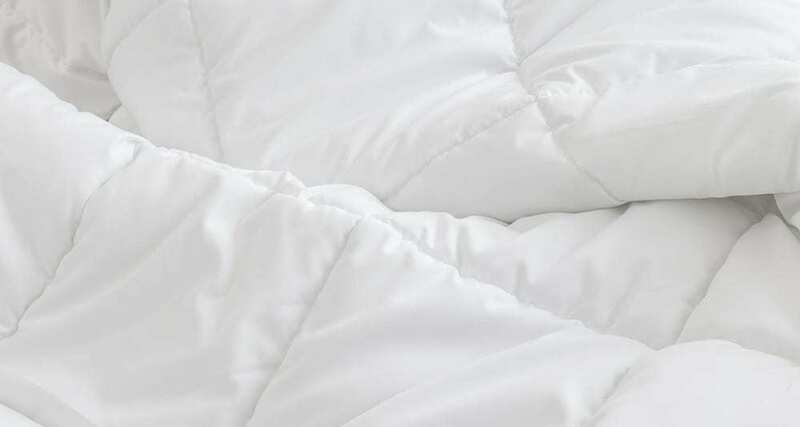 If you want cloud-like, pillowy softness without upsetting any potential allergic reactions to goose down, an alternative down comforter might be just what you need. The best part: they’re usually not too heavy, and you can use them year-round. If you’re stumped about which colors to choose, white and neutral tones can go a long way and fit any decor. Mattress technology has come a long way, with foam giving way to the hybrid mattress. What’s a hybrid mattress? A hybrid basically takes the best of both worlds (innerspring and foam mattress tech) and combines them. Nowhere is this better demonstrated than with the DreamCloud Mattress. It has eight layers of premium materials to leave you feeling like you’re floating to sleep every single night. 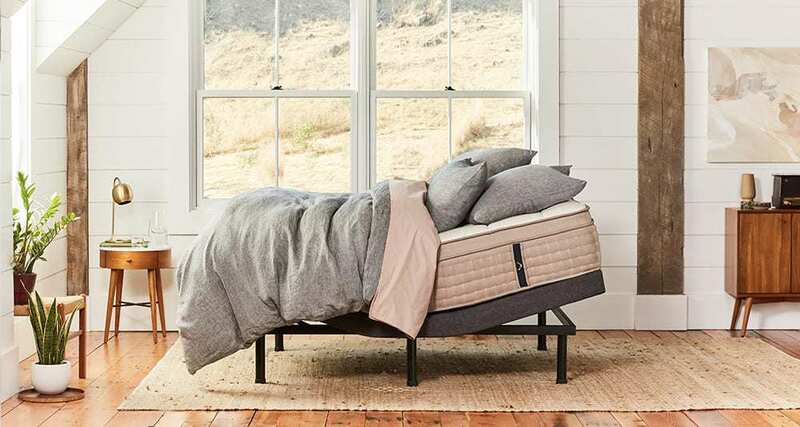 Starting with a cashmere blend eurotop (which is basically a topper that’s made of an amazing cashmere blend to help provide air circulation) a DreamCloud is designed with luxury sleep in mind. 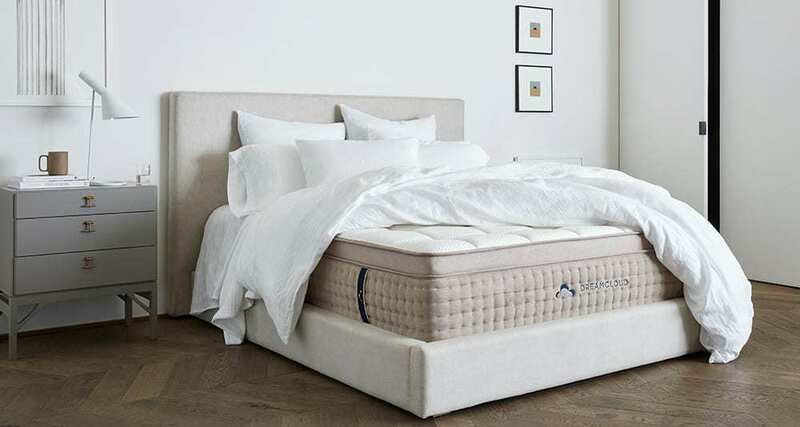 It includes five different types of memory foams of different densities designed to help keep your body supported and reduce motion transfer, which is especially important when you have more than one sleeper in bed. The base is made from a patent-pending bestrest coil system. This compression system provides comforting support that can’t be matched by traditional innerspring. And unlike innerspring tech, these coils don’t unravel after just a few months or years of use. Luxury means lasting forever. It’s why DreamCloud offers a lifetime warranty of their product. So what are you waiting for? Your luxury sleep starts tonight. With these seven tips, you can build your dream bedroom and sleep like royalty. Our interior design styles team recently published, “How To Transform Your Bedding From Shabby To Luxury.” If you’re looking for a world-class sleep environment at home this is a must-read.